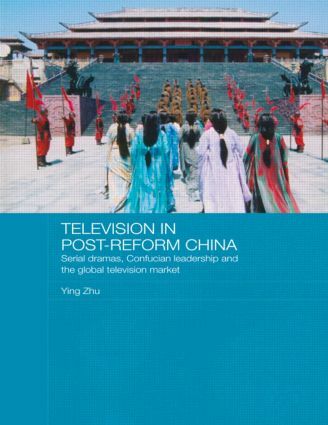 This book explores the political, economic, and cultural forces, locally and globally that have shaped the evolution of Chinese primetime television dramas, and the way that these dramas in turn have actively engaged in the major intellectual and policy debates concerning the path, steps, and speed of China’s economic and political modernization during the post-Deng Xiaoping era. It intertwines the evolution of Chinese television drama particularly with the ascendance of the Chinese New Left that favors a recentralization of state authority and an alternative path towards China’s modernization and China’s current administration’s call for building a "harmonious society." Two types of serial drama are highlighted in this regard, the politically provocative dynasty drama and the culturally ambiguous domestic drama. The book also provides cross-cultural comparisons that parallel the textual and institutional strategies of transnational Chinese language TV dramas with dramas from the three leading centers of transnational television production, the US, Brazil and Mexico in Latin America, and the Korean-led East Asia region. The comparison reveals creative connections while it also explores how the emergence of a Chinese cultural-linguistic market, together with other cultural-linguistic markets, complicates the power dynamics of global cultural flows. Building a harmonious society through television drama: Towards a Chinese century?